The United States is one of the most popularly visited countries of the world. It is without doubt a beautiful country and is home to several historical wonders amongst which is the infamous statue of Liberty located in New York, the space center in Houston, and several other beautiful places and attractions and of course warm and friendly people. Every year, millions of people visit the United States to explore and enjoy all the wonderful benefits the country has to offer. Nigerians represent a significant percentage of people who visit the United States regularly. A lot of Nigerians travel to school, find a new work or even a new life and engage in business activities, others travel to sight see, visit family and enjoy the environment. Although the Unites States shares a border with Canada which is the longest land border in the world with thousands of people crossing in and out daily, a large number of Nigerians also cross into this attractive country such that it has become one of the go-to places for people of Nigeria. 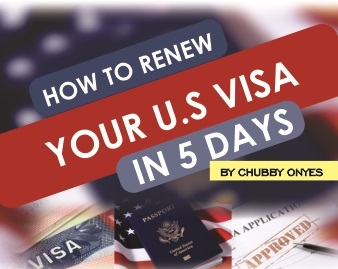 Applying for a United States visa in Nigeria is not an especially hard task. Apart from the couple of forms you have to fill, an important aspect you must take care of is the payment of all necessary visa fees. These fees vary and depend on the class of visa for which you applying and it is usually non refundable and non transferable either your visa is granted or rejected. 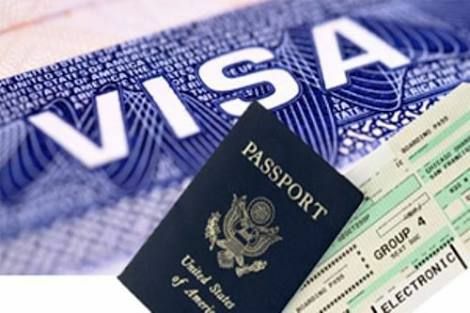 In this article, I am going to make a list of various non immigrant USA visa types available to Nigerians and discuss all accompanying visa application and processing fees attached to each visa type. Please note that all visa application fees listed here are in the US dollars. You can convert using the current consular exchange rate which is 360.00 NGN for 1 US dollars and valid until the second of July, 2018. The Visitor type B includes visa for individuals, family or groups who wish to visit the United States on a temporary basis as a tourist or visiting family. It is also includes those willing to travel to the United States for business and other similar purposes. The B-1 visa type is issued to applicants travelling to the United States for business visits. It may also be issued to individuals who are travelling alongside an individual employed within the United States as their Personal or domestic servants. This category of individuals include domestic employees such as cooks, butlers, chauffeurs, housemaids, valets, footmen, nannies, au pairs, mothers’ helpers, gardeners, and paid companions. The B-1 class of visa may be issued to athletes or individuals who are experts contending for a prize money, crew board members who work aboard vessels within the Outer Continental Shelf, may also be issued a B-1 modified before they obtain the regular crew member visa. The B-2 visa type is issued to applicants travelling to the United States for tourist or pleasure visits. It is also issued for those travelling for vacations as well as those seeking medical attention. The transit visa type also called C visa is required for applicants who intends to travel in instant and/or nonstop transit through the United States enroute to a foreign destination. Usually these applicants are foreign immigrants passing through the United States to other countries. There are certain individuals in this similar situation who may not require a visa .These include those who are eligible to travel through the United States without a visa under certain conditions stated in the Visa Waiver Program or citizens of a country with a special agreement with the United States affording them the privilege to travel through the United States without a transit visa. You can check if you belong to such category by clicking this link . The cost of transit visa is the same as that of the Business and Tourist Visa Type which is 160 US dollars. These visa types are for students or people who intend to travel to the United States to study. These categories of people are required to obtain certain approval documentation from their institutions to be submitted when applying for a student visa. This is the most common form of Student Visa applied for to the United States and is required for those willing to engage in academic or language studies in the United States and also individuals who will be studying at an institution for more than 18 hours per week. There is also the F-2 visa type for students who are dependent on an F-1 visa type holder. The M-1 visa type on the other hand is the type of student visa for those willing to engage in vocational studies or non academic institutions. There is also the M-2 visa type for students who are dependent on an M-1 visa type holder. For both the M and F student visa types, you are required to pay a visa application fees which is 160 US dollars. This class of non immigrant visa is required for foreign nationals or citizens who have extraordinary abilities especially in the field of science, arts, education, and business. The P visa type includes the non immigrant visa types issued to artists, athletes and entertainers who are travelling to the United States to perform. The Q visa type includes the visa types required for international cultural exchange participants who are travelling to the United States to engage in training or employment. It is also issued to individuals travelling to share history, traditions and culture of their home country in the United States. The R visa type includes the visa types required for individuals travelling to the United States for the purpose of Religious work to engage in religious worship or conduct the activities of an authorized religious group or occupation. This category of visa includes the J-1 and J-2 visa type. The J-1 visa type is issued for individuals who intend to travel to the United States for exchange visitors program with the aim of promoting skills and abilities in different fields of education, interchange of knowledge and persons in the arts and sciences. Individuals eligible for the J-1 type visa also includes students from various levels of academics such as degree holders , masters students , teachers and educational instructors at all levels travelling to the United States for the purpose of impacting knowledge, researchers, trainees and professionals in the medical fields and so on. The J-2 visa type on the other hand is for those who are dependents of holders of the J-1 visa type. These include their spouses and children who are under 21 years of age. This category of non immigrant visa is issued to individuals who are travelling to the United States as representatives of a foreign media in their home country for the purpose of engaging in activities related to their occupation within the United States. The Ship or Airline Crew visa type also referred to as type D visa and it is issued to individuals who are members of a ship vessel, an airline or aircraft within the United States. This also includes those crew members of a ship or aircraft travelling through or transiting within the United States. Usually, such individuals will acquire both the C-1 and D visa but sometimes only the D visa is sufficient for passing through as a crew member of a ship or aircraft. The T type visa is another class of non immigrant visa issued to foreign citizens or nationals who are victims of human trafficking or modern day slavery as it is popularly referred to. These are individuals who have been unfortunate to be lured based on false assurance of employment offers or better standards of living. These victims are being provided relief under the United States Immigration laws by issuing them the T type visa which provides them the opportunity to remain within the United States to aid investigations as they are being carried out against their violators. Note: The Human Trafficking Victims Visa Type is only issued to individuals already in the United States as a result of human trafficking. It is impossible to obtain a T type visa at the United States Embassy or Consulate in a foreign country. This class of non immigrant visa is issued to the fiancé or fiancée of a United States citizen in a situation where the fiancé or fiancés is from a foreign country. The k-1 visa type allows the fiancé or fiancée to enter into the United States and also permits them to have a wedding within three months (90 days) of their arrival into the United States. The K-2 visa type on the other hand is issued to children of the K-1 visa holders willing to travel into the United States. It is strongly advised that you go through all information required to obtain the specific visa type that pertains to your purpose of travel. Also, be advised that visa fees are non refundable therefore ensure you adhere to all rules and guidelines to avoid rejection of your visa application. This is very insightful. Thanks for always sharing your thoughts and updates about us visa. But I have a question. Am I going to pay any extra charges for visa fee if I am rejected once? Someone said it keep increasing the moment you are rejected and how soon can I re apply.